Hello Friends! Can you believe we are half way thru the 30 Day Coloring Challenge?! Better yet, can you believe that I have not missed one single day?! That means I have posted everyday for the last 15 days! THAT hasn't happened in forever. This really has been a lot of fun. Just knowing that I'm putting aside a little time to do what I love everyday, makes me smile. Let me show you what I've put together for today. I have to preface my share by saying that I had something else planned. But, my plans quickly changed when I received an email from dear, sweet Sandy Allnock. She shared the cutest idea on her blog and as soon as I saw it, I wanted to color it up and share it with all of you. 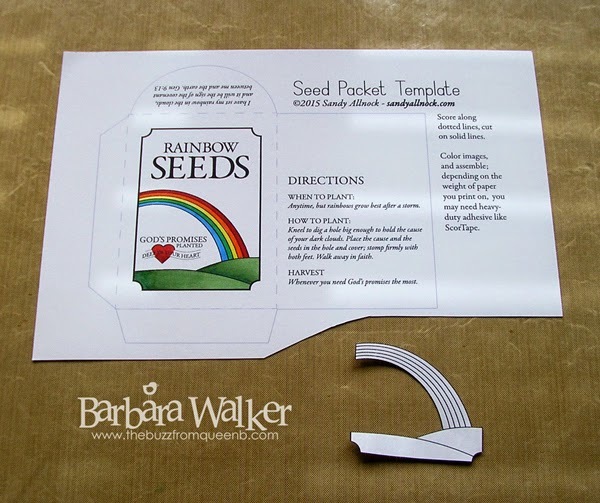 Sandy created this cute little Rainbow Seed packet template. And she is so kind and generous, because she made it downloadable, so that all of us could make the packets, too. 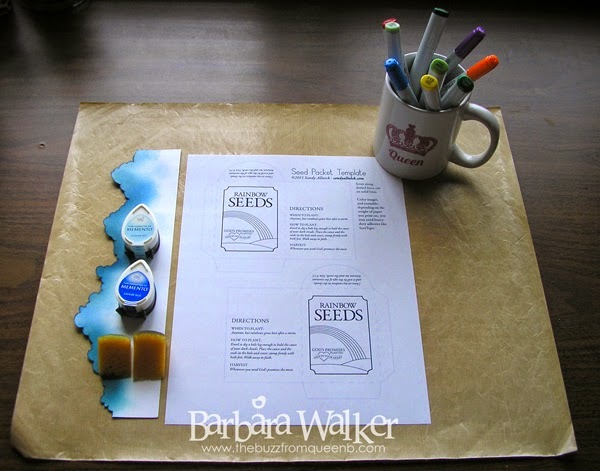 AND, she also has a blank seed packet download, to be used any way you would like to. BIG thanks to Sandy! To see Sandy's post and to download your own templates, click HERE. I printed out the templates onto smooth white card stock and colored them with Copic markers. So thoughtful of Sandy to include TWO templates on the sheet! Next, I created a mask of the rainbow, so I could sponge on some clouds. To create the mask, I printed the template onto regular copy paper and trimmed it out. I just put a dot or two of repositionable adhesive on the back and stuck it down. I used sticky notes to protect the entire piece. 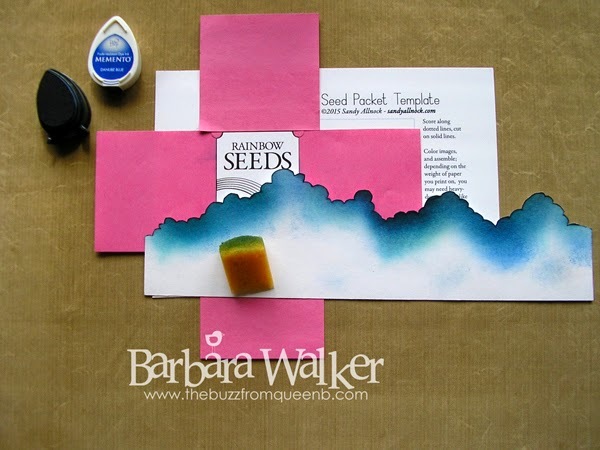 Then, using my cloud template, a sponge and my favorite blue ink, I gently sponged on the 'clouds'. When I finished all the sponging, I removed the masks and assembled the packets. Sandy recommended using a really strong adhesive, so I used ScorTape. Here are the finished pieces, both front and back. Aren't they cute?! 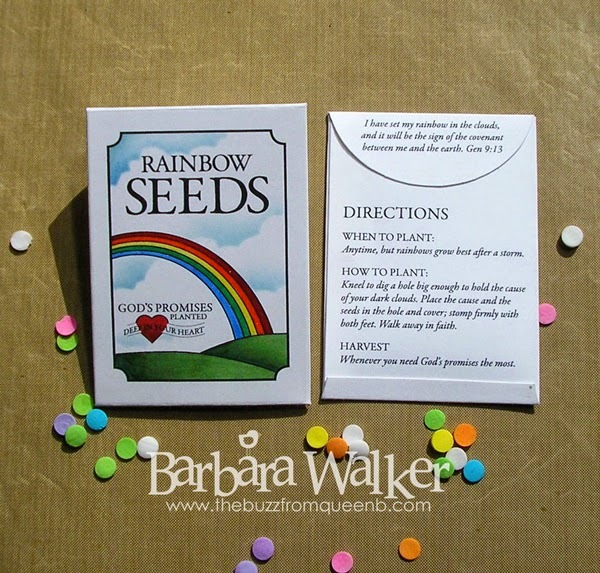 The packets can be filled with rainbow sprinkles and "planted" when necessary. I think that is sooo clever! I just love the little directions on the back. These would be a cute addition to an Easter basket. I plan to make several for my Mom to give to her Bible study group. To finish off the packets, I went over the rainbows with a clear Wink of Stella glitter brush. 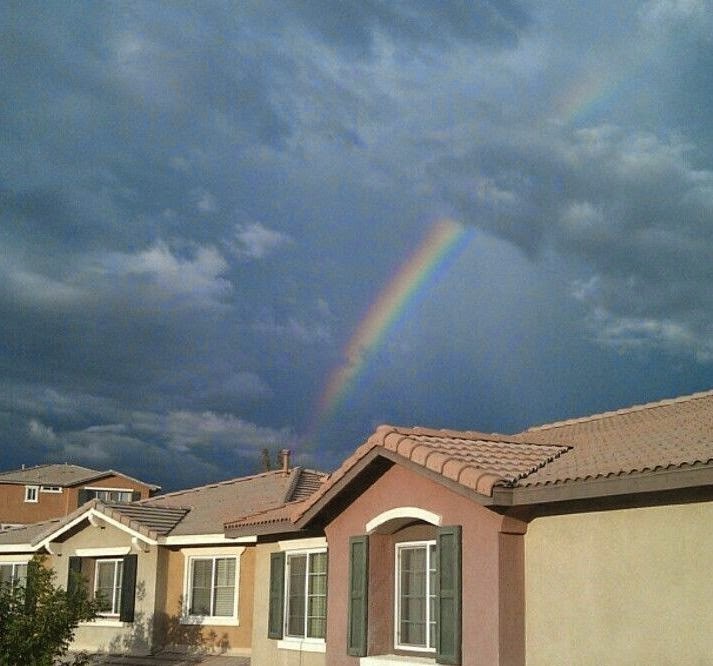 My love affair with rainbows began when I was a little girl, watching The Wizard of Oz. 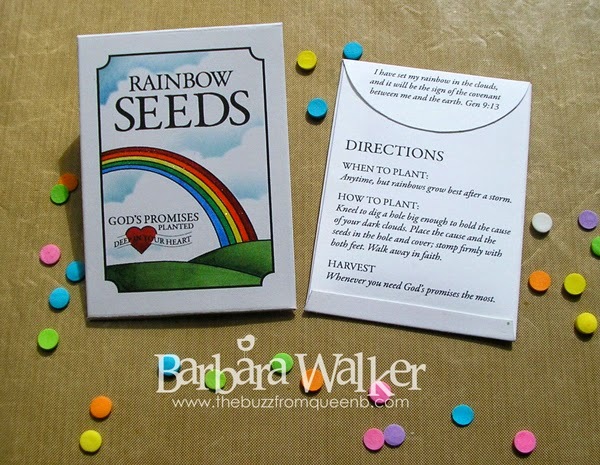 I was really enamored with the idea of going somewhere over the rainbow to an enchanted land. And now whenever I see one, I whip out my camera and snap a shot. They can be somewhat elusive, but sometimes I am able to capture them. Here are two photos I took around my house. Even now, The Wizard of Oz is still one of my favorite movies and the song, Somewhere Over the Rainbow is my absolute favorite. 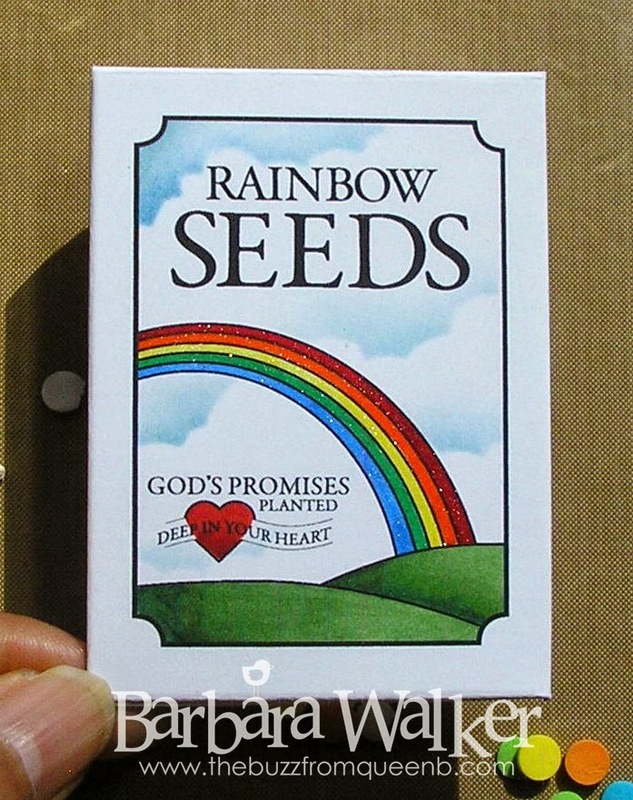 In fact, I have an entire Pinterest board dedicated to the rainbow. Click HERE to check it out. Just something about them that lets me know that every little thing is gonna be alright. 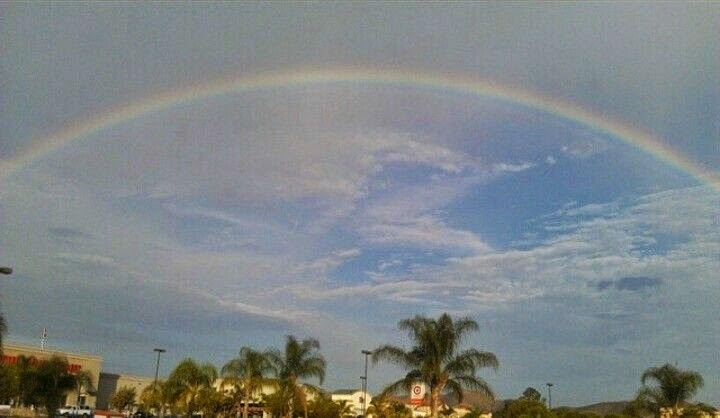 I'll leave you with this beautiful version of Somewhere Over the Rainbow. Enjoy! Sooo that is it for me today. I got a little off the path, but, it was all related. :) Thank you for stopping by. I appreciate the visit. by the way, I found your blog through Darnell's blog.